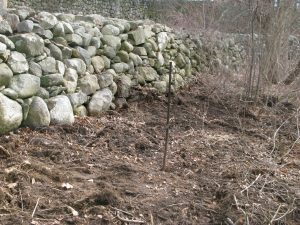 The Community Preservation Committee (CPC) funded ​stone wall restoration project at Pageant Field on Hildreth Street is underway. 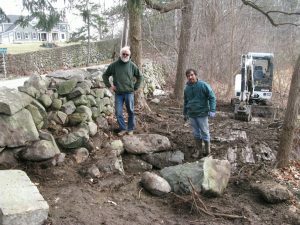 Dave Tibbetts, of New England Landscape Design, is a stone mason who is doing the work. Dave is on the left in the picture. 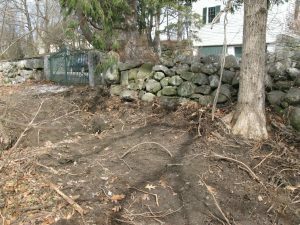 For this WCT project, several hundred feet of the wall is scheduled to be repaired ​and rebuilt to look as it did historically at the time of the Westford 200th Anniversary Pageant there in 1929​. The trust mission to preserve and protect open space and natural resources also includes historic sites.